As you will see, vacation was so wonderful and packed full of fun. It is always so bittersweet to go home. I definitely suffered from vacation hangover. Actually, it's mostly travel hangover. Now we are all just getting back into our own grooves and trying to figure out what to do for the rest of the summer. July 3 - Maben caught his first fish! (kinda) I helped hook him, but Maben did most of the reeling in. The fish were very finicky and not wanting to stay hooked. 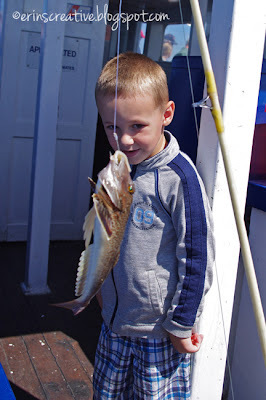 This ugly bugger is called a Sea Robin. Maben was afraid to get near it, I don't blame him. Not the prettiest fish and we threw him back, but if you tapped it's side, it croaked like a frog! Maben loves telling people that the fish he caught says, "ribbit!" July 4 - Happy Independence Day! I took Maben down to the beach with me and we watched fireworks. 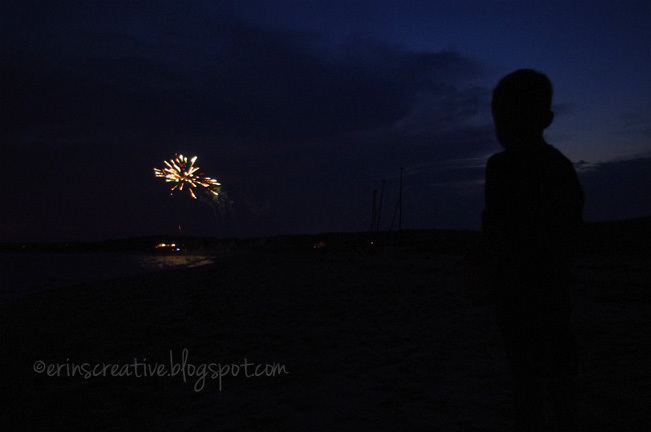 We were both having a wonderful time up until some (expletive deleted) decided to light a roman candle not far from us and with the wind it was right above us. Maben freaked and ran quite a ways down the beach. Poor Maben. He doesn't handle noise well, but I had him warmed up to the fireworks and he was enjoying himself up until that moment. I am hoping he remembers jumping up and down and yelling, "BOOM!" 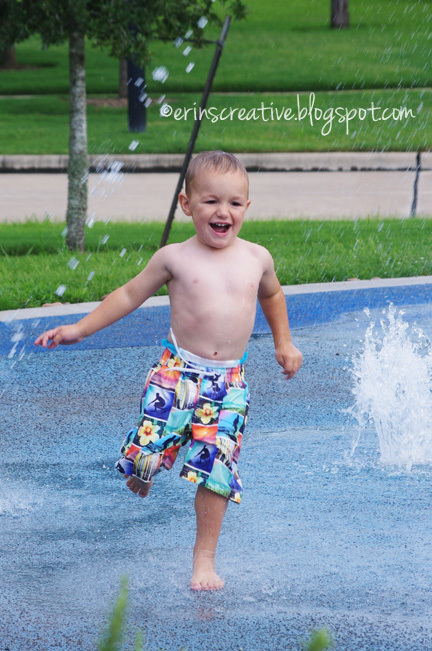 with excitement and joy instead of being scared to death and running away. 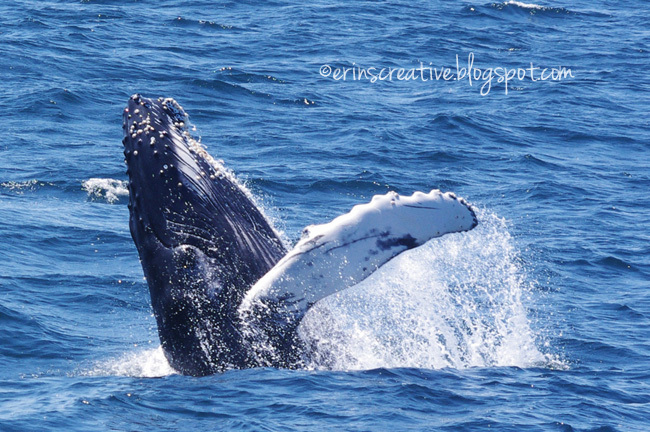 July 5 - My very first whale watch. My MIL, hubby and the kids all took off out of Provincetown on the Dolphin Fleet for what ended up being a magical whale watch. We saw 4 whales in total. Three humpbacks and one fin whale. The most amazing part was watching a mother humpback with her calf doing all sorts of fin slapping. When the mother would dive down, the baby would start breaching. We had a guide on board and she informed us that the mother's name is Dusty and her calf is an unnamed male. Here he is breaching. 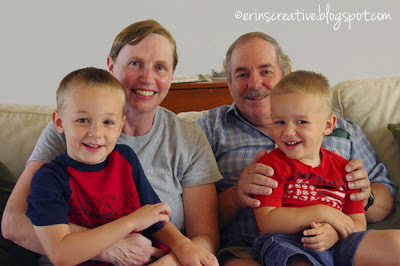 July 6 - My FIL, the kids and I went out on a bird walk. We tried walking on the town of Chatham trails, they were terrible. Overgrown and neglected. 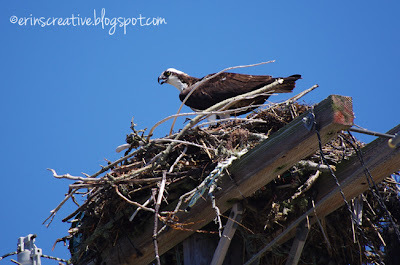 We ended up heading to Monomoy National Wildlife Refuge. I wish we had more time to spend there. When we were leaving, I spotted an Osprey nest on top of some power lines and stopped to take a photo. It's my first time seeing osprey! July 7 - Saying goodbye to Grandma and Grandpa before heading to the airport. Thanks for a wonderful vacation! The boys miss you already. 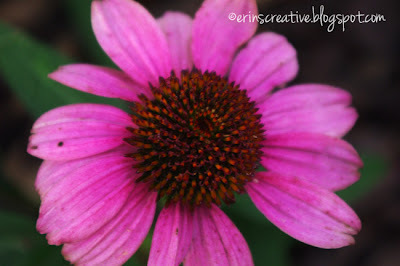 July 8 - So happy to see that one of my cone flowers blossomed while I was gone. July 9 - Getting back to normal and playing at the splashpad.